Running Arabian Pendant in motion. This running Arabian Pendant is showing awesome action. 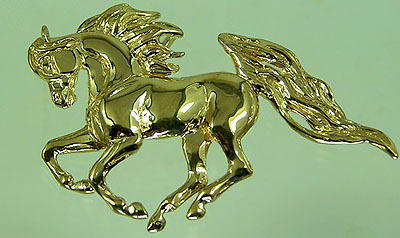 In a full gallop or canter, this piece is great for the arabian lover. Dimension for this piece are 2 1/2 inches X 1 1/2 inch Available in 14kt yellow gold, 14kt white gold, and sterling silver.